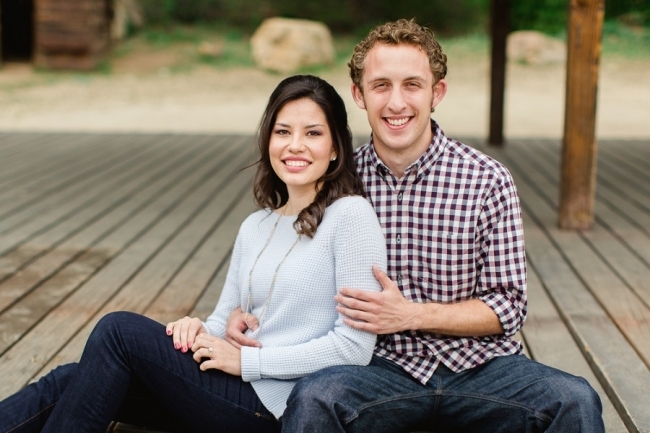 Jamie and Andrew both go to school in Utah, so their engagement session was the first time I met them! I actually met Jamie’s mom for the consultation and I instantly knew that I would adore them based on what her Mom told me about them. Their engagement session took place on one of the coldest windiest days we have had in a long time but fortunately it didn’t end up raining. I’m not sure who told California it was okay to be cold and gloomy on the days that I’m trying to do engagement sessions but this has got to stop! Throughout the shoot I would have been freezing (ok, fine, I actually WAS freezing), but luckily I was wearing jeans, two long sleeve shirts and a scarf. Jamie on the other hand was merely wearing a cute dress! I kept mentioning how cold she must be and that we would hurry up so she could go back to her car, but Jamie kept insisting that she wasn’t cold. She is originally from the Los Angeles area, so I guess living in Utah for a while has gotten her accustomed to less than ideal weather. They both told me stories of how on certain days in Utah it gets so cold that rain instantly turns to ice when it hits the ground. So, it is safe to say that from literal freezing rain, the gloomy California weather was an upgrade. By the end of our shoot, I started loving the gloomy weather and the moody skies:) It is just so romantic. 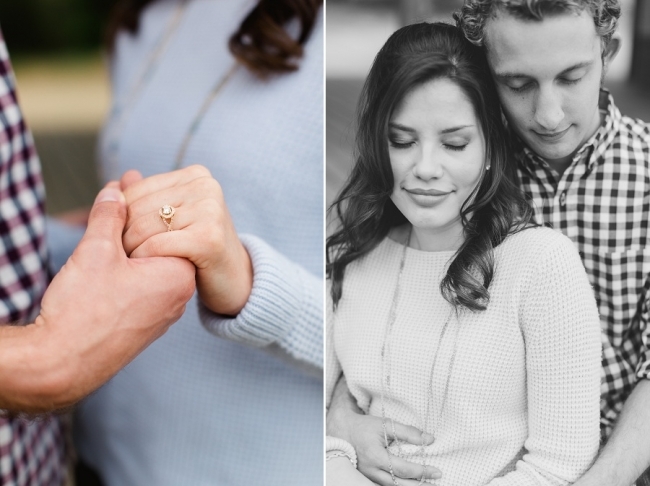 I love these two, so I hope you enjoy a few of my favorites from their session! How pretty is her ring?! I love that I finally got to shoot in a field of yellow flowers! They couldn’t hold a serious face for very long. Guess what picture I’ll be using again for the 4th of July? 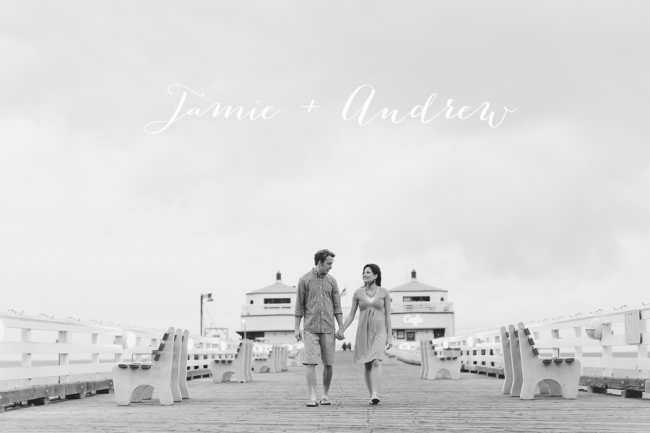 Congratulations Jamie and Andrew! I can’t believe your wedding is only 3 months away! I can’t wait! !